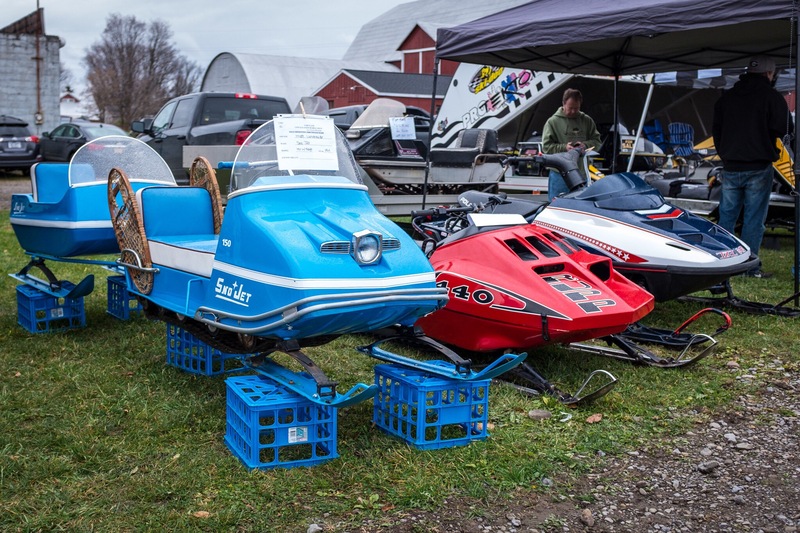 With the white stuff is just around the corner, it is fitting to have a vintage snowmobile show here in Upstate NY. 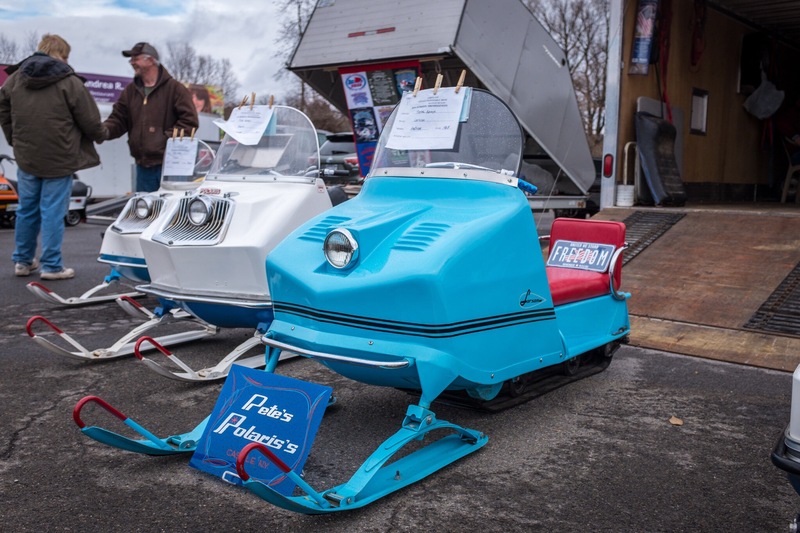 The Brockway Museum in my Cortland, NY was the site of the annual Vintage Sled Show. 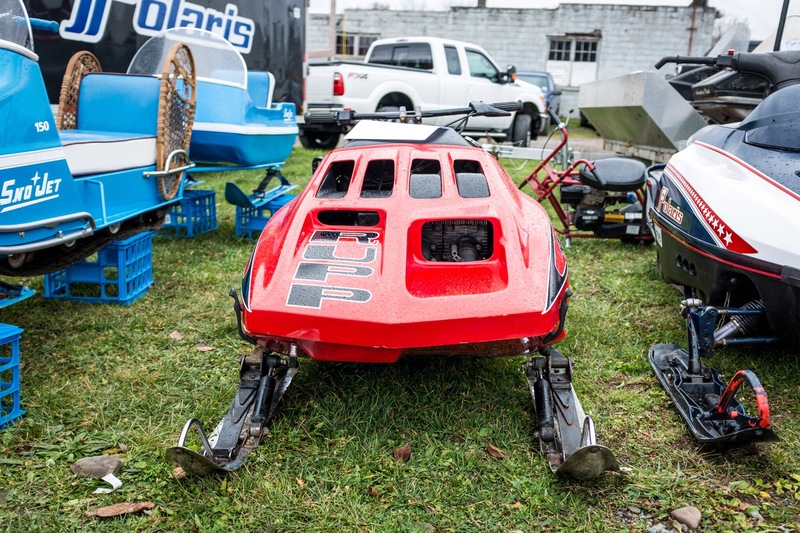 Just down the road from my house, I wondeered over with my camera to check out some sleds that I grew up with. 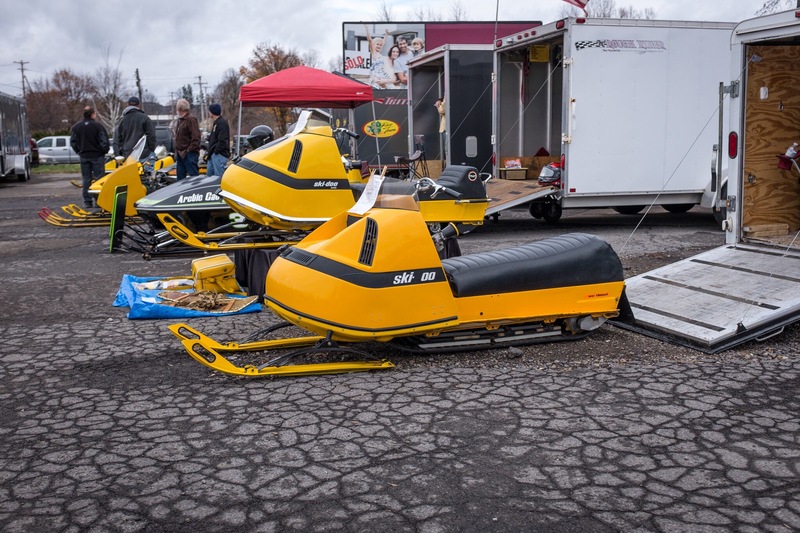 The show had a lot of beautiful sleds along with a good number of show goers through out the day. I remember watching these Sno Jets race on the oval tracks in NY as a kid. 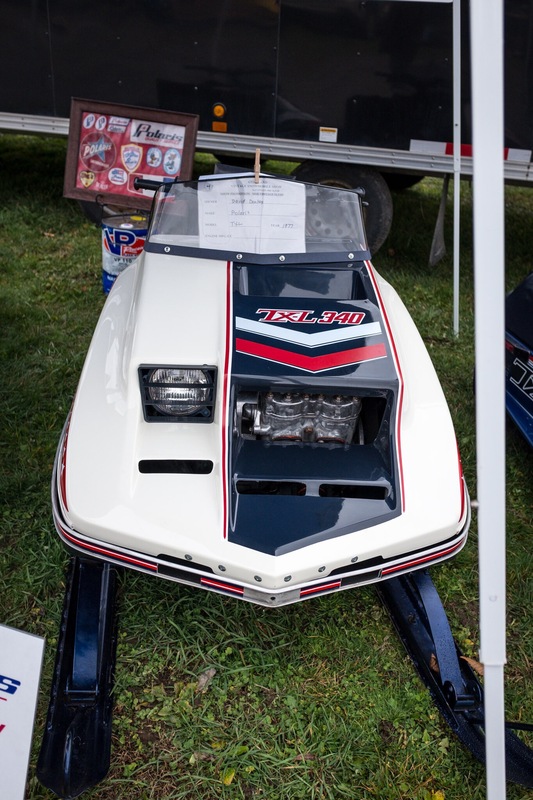 Above is the Thunder Jet 440 sled, or we liked to call them “Thunder Chicken” ha ha. 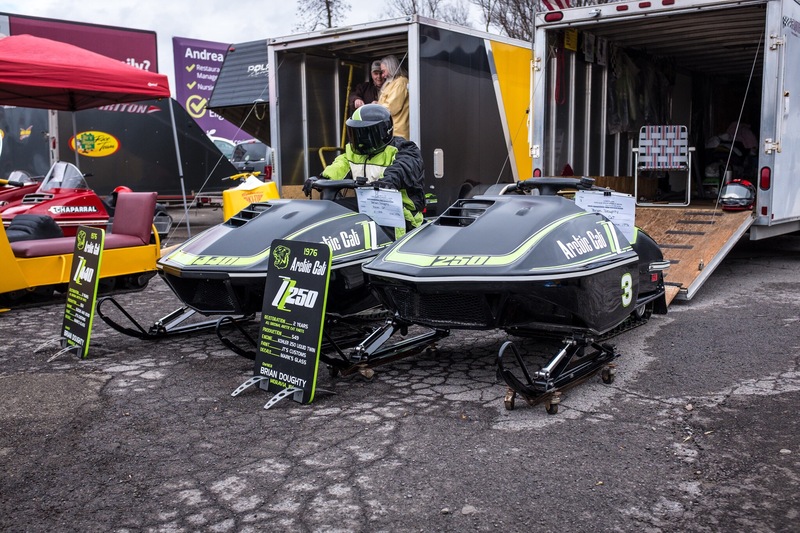 I Rember the different sound these sleds made when the fired them up in the pit area. 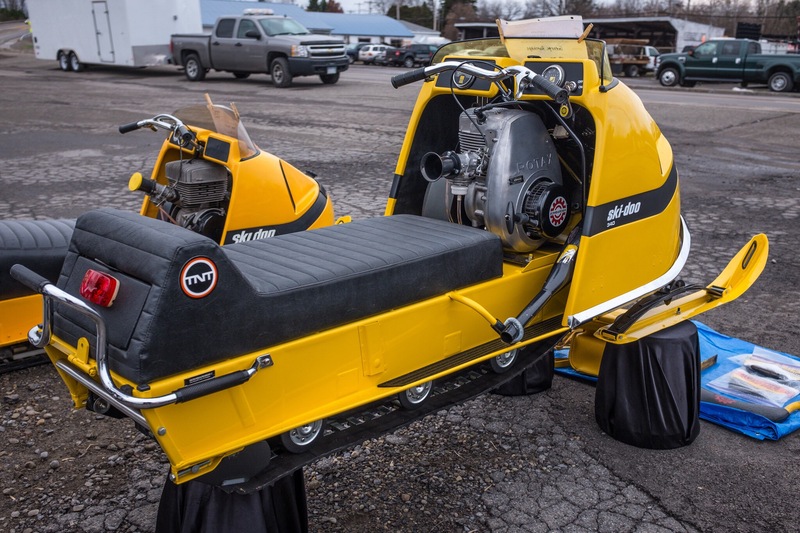 Above are a couple nice Ski-doo TNT sleds. 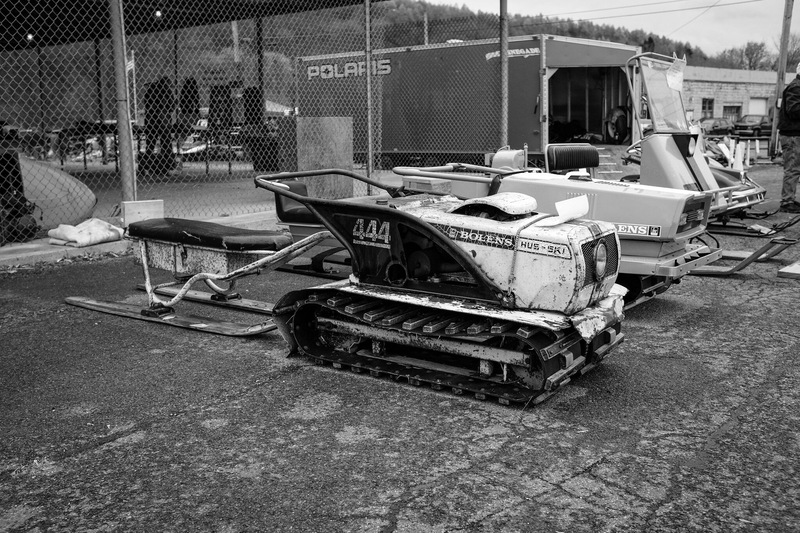 Ski-doo was always a threat at the track back in the 70s. 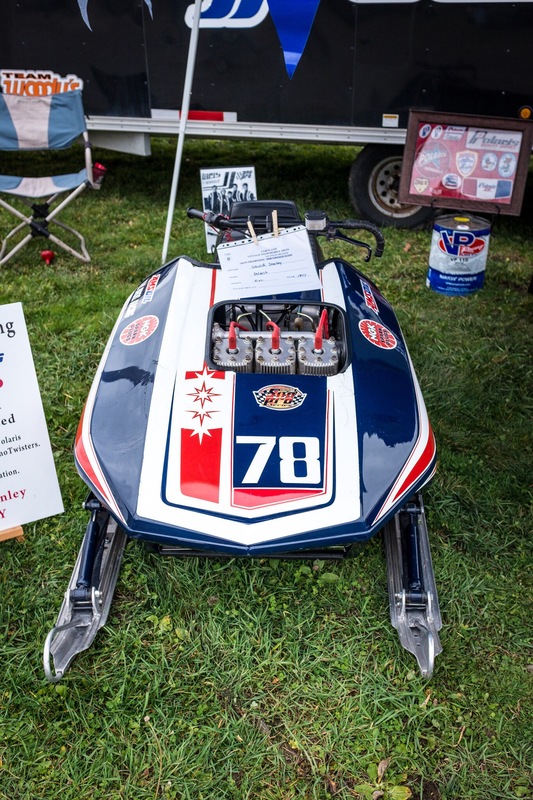 It seems like there were a lot of Snowmobile manufactures back in the day. 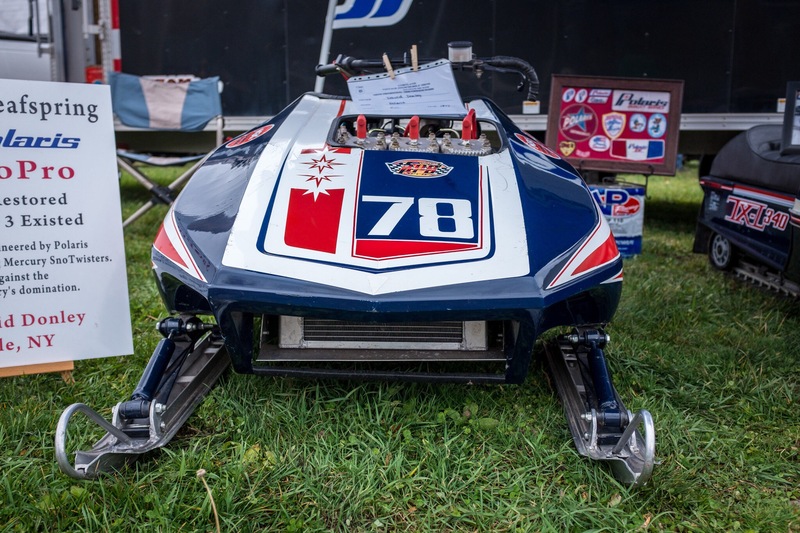 Most of them made race sleds, making it even tougher to stay on top of the racing scene. “Win on Sunday, sell on Monday”. Polaris always was in the top three of oval racing. 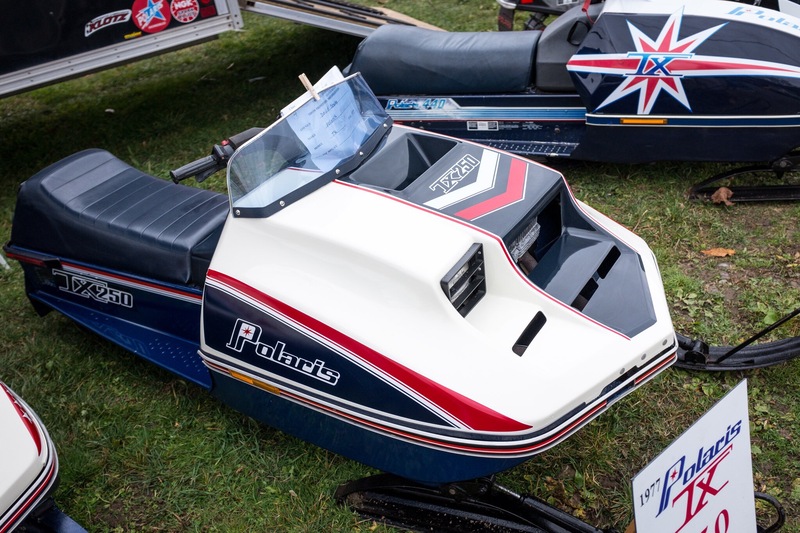 I was a Arctic Cat guy, and didn’t really like the Polaris teams because they seemed to give Cat a tough time every where they raced. 250-340-440 classes were the most popular classes that ran in this area. Now days 1000-1200 sleds are the norm. A 440 back in the day was a huge motor to have under the hood, boy how times have changed. Like I said I loved the Cats they looked awesome, and we’re always fast. The “Z” sleds were my favorite of the Cats. The two above brought back some great memories of the sleds I used to cheer for as a kid. 👍🏻👍🏻😀😀. I walked around the show for 45 minutes or so snapping images and talking to some owners of these great looking machines. 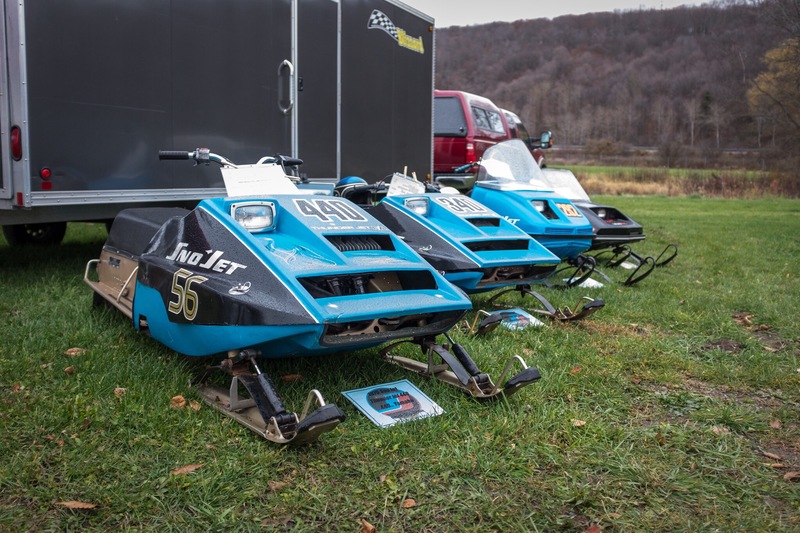 Not only were there race sleds on hand, but a bunch of nice trail sleds that have been restored to original condition. These guys that are restoring these sleds do a wonderful job, down to the smallest detail. I remember trail riding sleds that had the caburator exposed right in front of the operated. Your snow jacket would get sucked into the carbrator, choking the engine, and getting fuel all over your suit. Good times were had on these sleds. You had to “ride”these things, because they could be a handful on the trails. Not like today’s sleds, with monster suspension and all the comforts of home engineered into them. Riding these old machines was work, you really had to enjoy riding for sure. 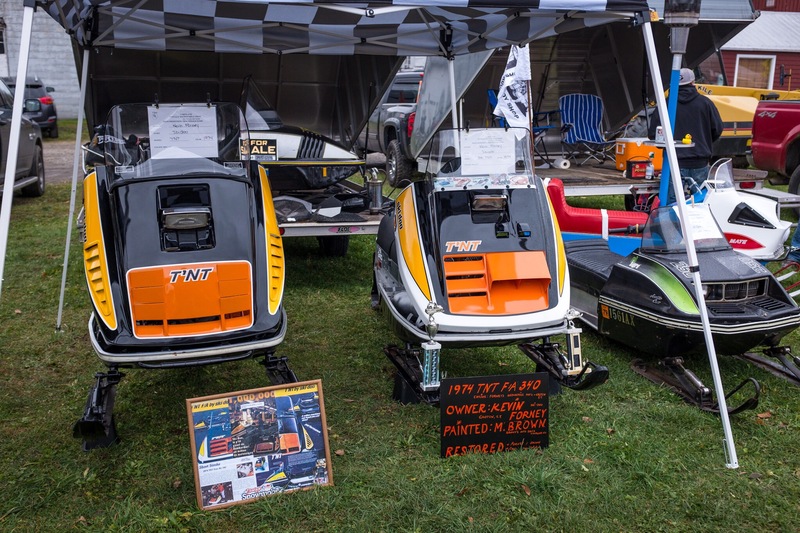 It was great to see these old sleds, and to see the love for snowmobiling past and present is still very strong. I hope you enjoy these images. It might even bring back some fond memories of your youth. Enjoy!